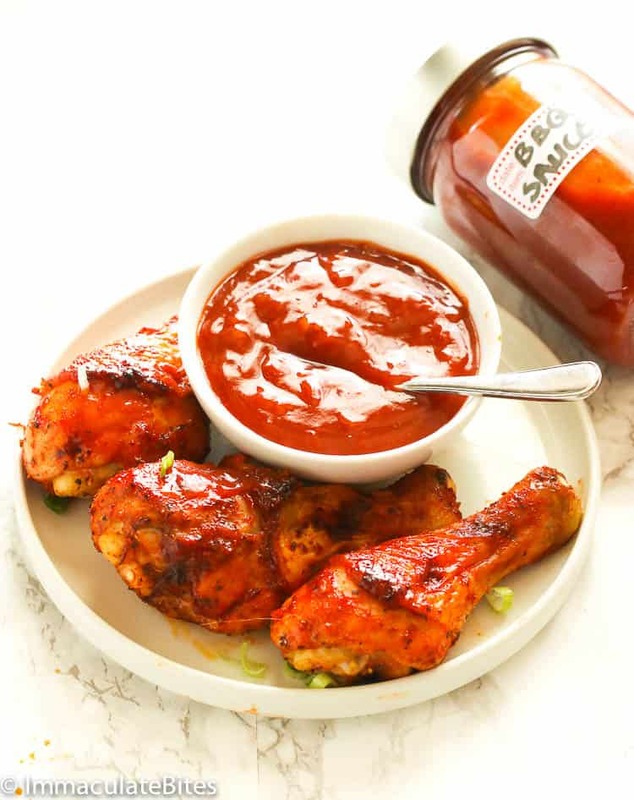 Homemade BBQ Sauce – take your favorite barbecue recipe to the next level with this 10-minute sweet, tangy, smokey and spicy best ever BBQ sauce. Perfect for marinating, grilling and dipping! As promised, I’m here to share with you the guys the star of the show on our Monday’s Oven Baked BBQ Chicken. The very reason why I’m already enjoying a good barbecue at the start of spring. Sorry guys, if I went on first. I couldn’t think of anything other than nibbling a good barbecue meat right at home. And I’m about to finish my first jar of homemade bbq sauce since I made this a week ago. 🙂 I definitely can’t wait for summer! 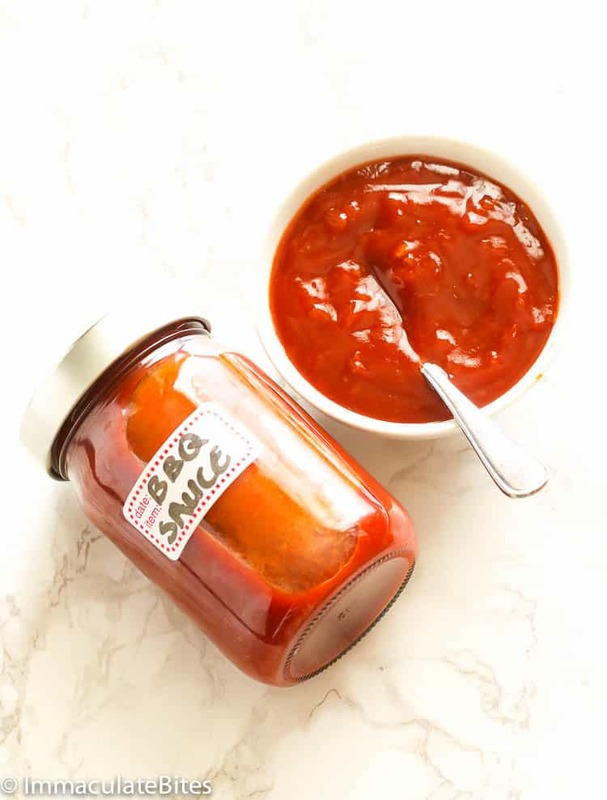 This homemade bbq sauce is quite probably the best tasting BBQ sauce I’ve ever tasted. It has the balanced sweetness and tanginess layered with that smokey and spicy flavors. I couldn’t even describe it well through words, but you will know that it was a massive hit when you’ve been eating anything barbecue more too often. Ooops! Okay, we might have gone a little over the line but it was so worth it. You probably might have most, if not all, of the ingredients sitting in your pantry right now. All you have to do is mix them all together, combine and store in a jar. As easy as that! No special equipment or some complicated methods required. Just 10-15 minutes of your time and you’ll have an unbeatable homemade BBQ Sauce stored in your fridge. They are waaaay nicer than the ones you can buy at the store! 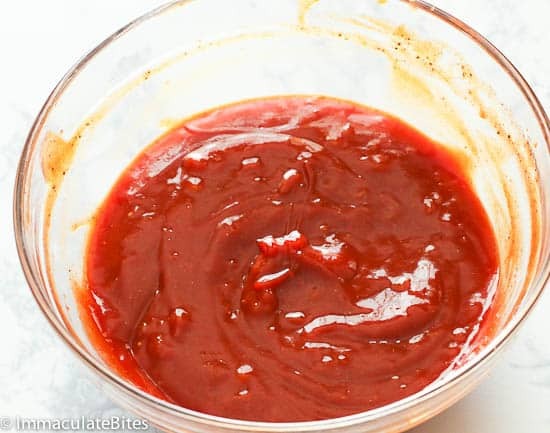 For this recipe, you can use you favorite ketchup as base for this sauce, but I generally go for those ones that doesn’t have high fructose corn syrup. The reason behind is that I’m using brown sugar, and a bit of honey and molasses as a sweetener for this homemade bbq sauce. If you’re sensitive to soy, you can replace the Worcestershire sauce here with coconut aminos. Now you’d ask, “But Imma, what is that celery seed? Can I leave it out?”. Celery seeds are actually quite a revelation here. They taste earthy, grassy with the slightest hint of bitterness. They add a great layer of flavor and texture in this sauce. You can find them in the spice section of most grocery stores and use them for salad dressings, brining and on pickle mixes. Leave it out if you can’t find it in your neck of woods. How Long Does Homemade BBQ Sauce Last? Depending on your family size and appetite for barbecues (*coughs* excuse us *coughs*  ), a medium-size jar as show in the photos would yield approximately 2 cups. 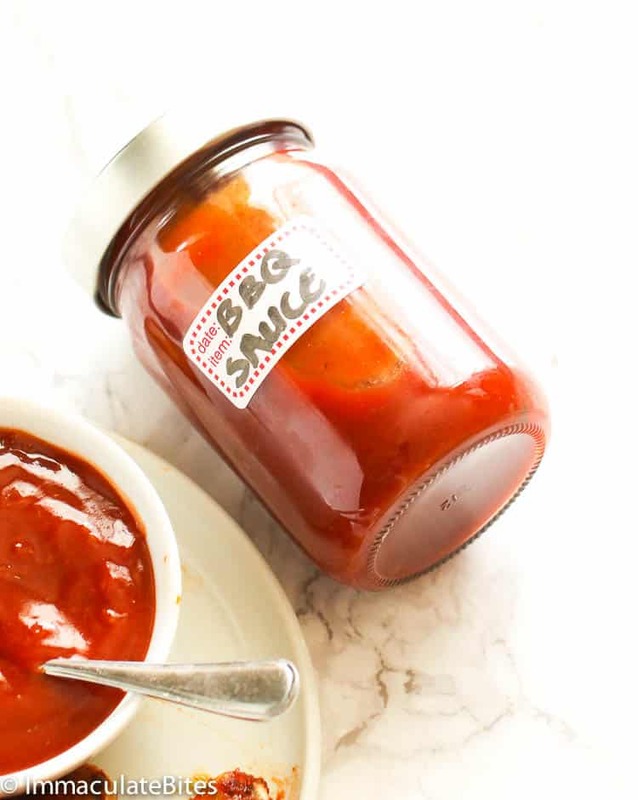 If stored properly in a jar with tight fitting lid, you’re assured that this homemade bbq sauce would last up to a week when stored in the refrigerator. Can I Freeze BBQ Sauce? As far as I know you can freeze store-bought BBQ sauce for up to 6 months (it should, with all those preservatives added into it.). 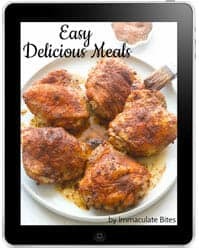 But with homemade bbq sauce, others wrote online that you can freeze them in freezer bags, containers and jars for up to 2 months and when ready to use, just thaw it in the fridge overnight. Since I haven’t tried it myself, I can’t say for sure. BBQ Sauce doesn’t seem to get solidified well, plus the fact that we’re using molasses in this recipe which sugars act as an anti-freeze. Don’t wait til summer to make this homemade bbq sauce. Remember to always label your container with dates (don’t be like me..totally forgot it. 😀 ). You will never ever buy those store-bought again once you made your first barbecue for this year using this one. If you miss our Oven Baked BBQ Chicken, you can check it out HERE including a video. 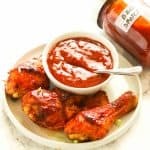 Homemade BBQ Sauce - take your favorite barbecue recipe to the next level with this 10-minute sweet, tangy, smokey and spicy best ever BBQ sauce. Perfect for marinating, grilling and dipping! 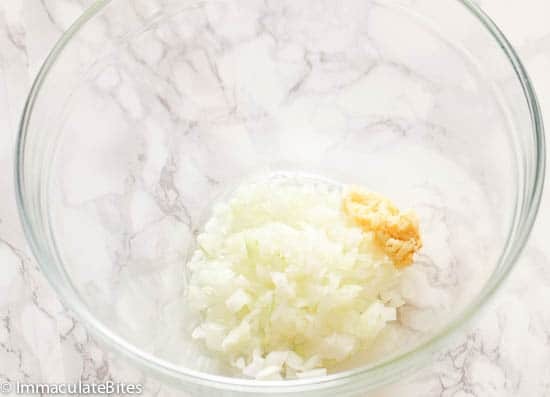 In a small microwave safe bowl, combine onions and garlic and microwave for about a minute or two until onions are soft and translucent. Set aside. 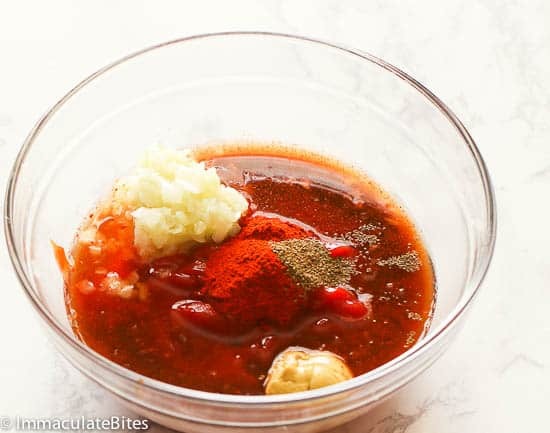 In a medium bowl, add all the ingredients: ketchup, vinegar, lemon juice, chili, brown sugar, honey, Worcestershire, mustard, paprika, molasses, pepper flakes and celery seeds. Finally add in the onions and garlic mixture. Place in an air tight container or jar and store in the fridge until ready to use. 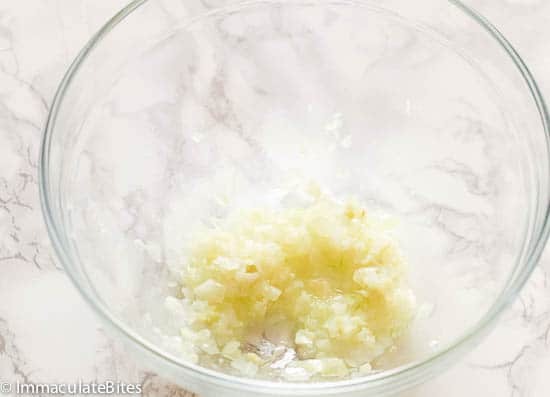 In a small microwave safe bowl, combine onions and garlic. Microwave for about a minute or two until onions are soft and translucent. Set aside. Mix together until fully combined. Place in an air tight container or jar and store in the fridge until ready to use. Yaaay! How great to hear that it turned out well for you, Rusty. Thanks for letting me know.